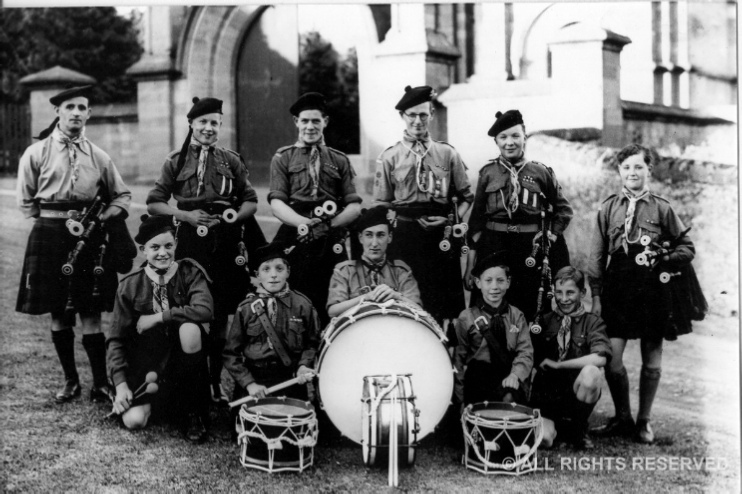 Rear L to R: Pipe Major Duncan Milne, Andrew Kirkpatrick, George Gellatly, Hugh Cameron, Ronald Repper, Ian Berry. Front: John Baynes, Alfie Smith, Doug Petrie, Leslie Bruce, Murdie Bell. 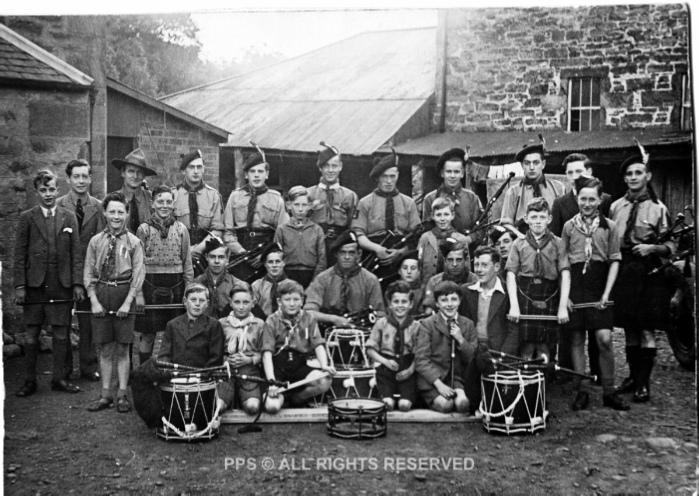 Back Row L to R: ?, Leslie Bruce, James Kirkpatrick, Stewart Robertson, Bill Symington, Linn Robb, Alex Kinmond, Willie Duncan, Ian Beverley, Sandy Reid. Second R Standing: Jimmy Smith, Frank Walker, Ian Reid, Duncan Blair, Billy McBain, Drew Brown, P/M Duncan Milne. Rear seated row: Stuart Dickson, Willie Crichton, Jim McKenzie, Jimmy Duncan, Robert Blair. Front seated row: David Robertson, David Alexander, Brian Barber, Ian Rae, John Heron, Jack Ogilvie. 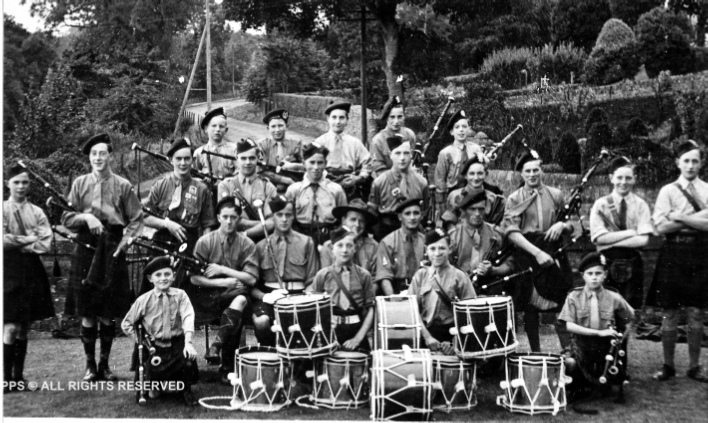 Pipe Major Milne is seated second from the right. 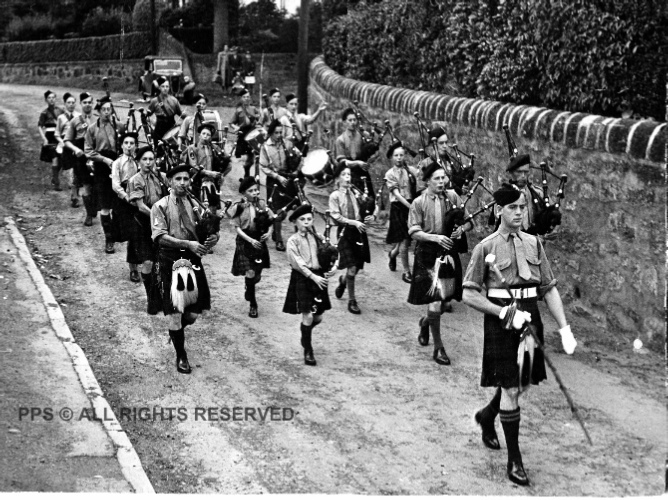 This was the Braemar day Parade and also the first time the band had paraded with their new Black Stewart kilts. 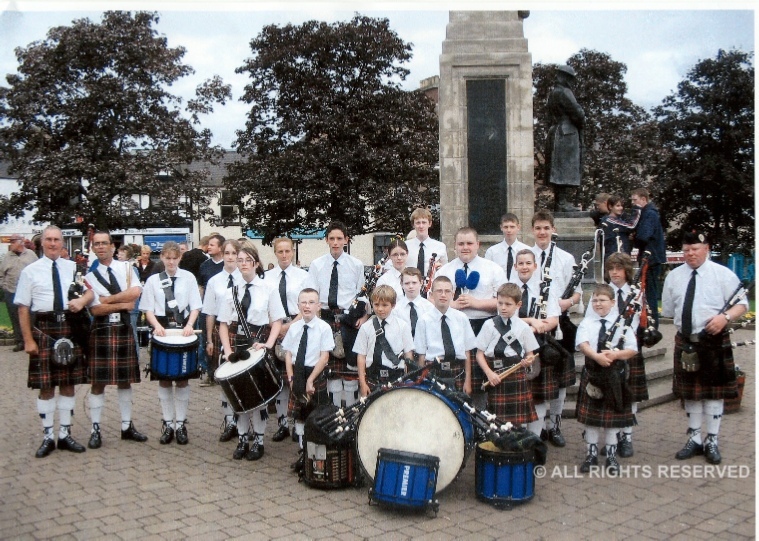 All the best to all members, and power to Pipe Major Charlie Munro (far left). 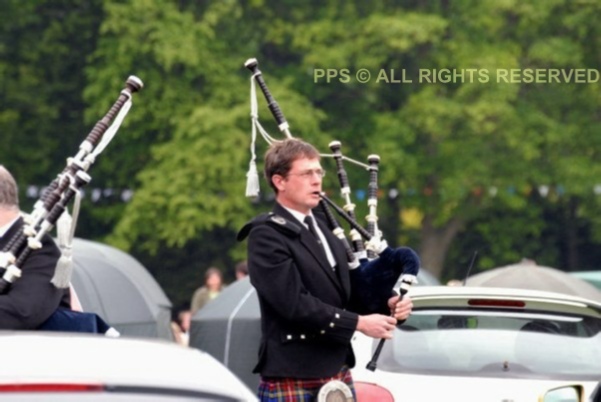 Gordon is busy getting back to his piping and is now the Alyth Pipe Major.